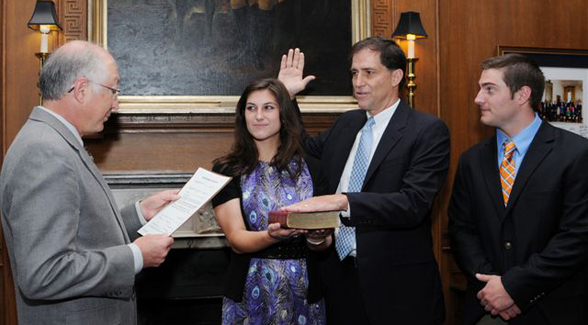 Dan Ashe was sworn in as the 16th director of the U.S. Fish and Wildlife Service on June 30. President Obama had nominated Ashe to head up the nation’s principal federal agency dedicated to the conservation of fish and wildlife and their habitats last December. Thanks to his father’s 37-year career at Fish and Wildlife, Ashe is in fact a lifelong veteran of the service. After receiving his Master’s degree from the University of Washington, the Atlanta native spent 13 years working on Capitol Hill before joining Fish and Wildlife. He subsequently served as the service’s assistant director for external affairs from 1995 to 1998, as the chief of the National Wildlife Refuge System from 1998 to 2003, as science advisor to the director of the service from 2003 to 2009, and, most recently, as the service’s deputy director for policy.